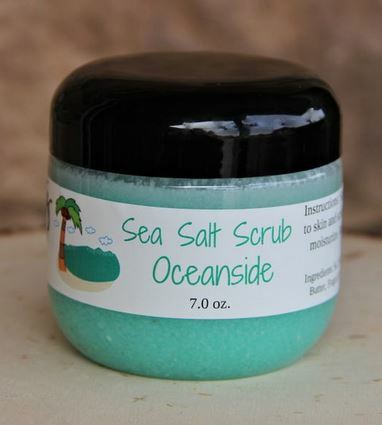 Oceanside scented sea salt scrub from Soapitz by Opitz. Stir contents. Apply to skin and scrub to exfoliate and moisturize. Rinse thoroughly. Ingredients: Sea salt, coconut oil, shea butter, fragrance, otiphen, colorant.